Today I refuse to work with any new tool that takes more than a little effort to learn it. The reason is simple. In the last 25 years of building web experiences for clients, I have learned one thing for sure. You never stop learning, and each new tool has a life span that’s shorter than that of the average mayfly. Putting too much effort into any tool is wasted time in the longer run, nowadays. In the past things were quite different. 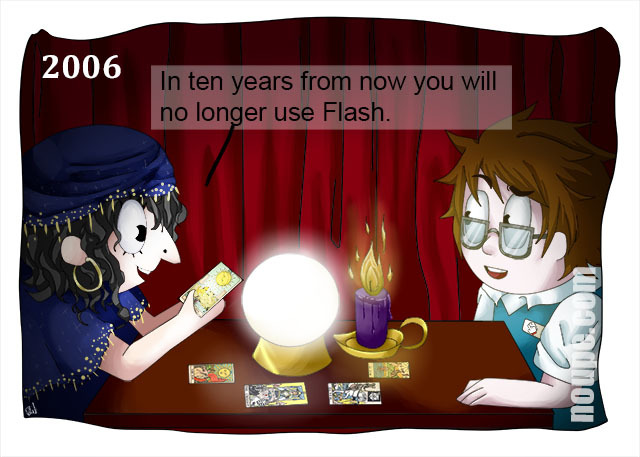 Do you remember the days when Macromedia Flash was the next big thing? Okay, the browsers needed a plugin, and that was an obstacle at first. But after a relatively short while, almost any browser out there had been voluntarily equipped with the infamous Flash plugin and developing for it became a mega trend. Right from the start developing for Flash had absolutely nothing to do with web standards. Not at all. But still it made its way. Let me know what you think in the comments below. There were even agencies who built their whole business model on Flash and specialized as much as they could. Where are these today? Flash is a good example of how a bad concept became way more successful than it should have. Its extinction was in its DNA right from the beginning. Anyway, should our fortuneteller have made this prediction ten years ago, you might have probably laughed about it. Let me know what you think in the comments below. 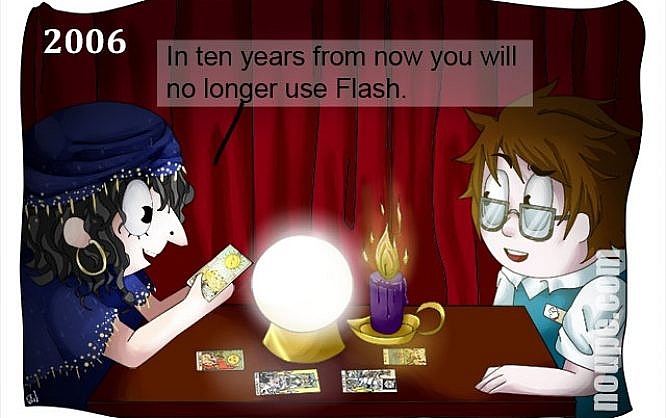 Were you one of those Flash developers that made everything move for no deeper sense at all? By the way, we have many more cartoons for you here.